Welcome bonuses and promotions aside, the best way to increase your chances of winning at an online casino is to find the best payout online casinos in Canada. All casinos, whether online or bricks and mortar, create games that give them a mathematical advantage, also known as the “House Edge”. It is this house edge that allows the casino to make money over time; they are a business after all. Some casino games give the casino a greater House Edge than others. For example, the House Edge in blackjack can be as low as 0.5% if you adhere to basic strategy while playing perfectly at the roulette wheel typically gives the house a 5.26% edge. Slots typically have a House edge of between 5-15% and is known as the RTP rate, but we shall cover that in detail later in this article. Finding the best Canadian online casino payouts is vital to increasing your chances of enjoying a profitable session. The lower the house edge, the better your chances are of winning. It is as simple as that. What are the best payout casinos for Canadians? We pride ourselves on finding the best payout online casinos in Canada to give you the best chances of winning because we all love winning, right? Below is a table showing five of the online casinos that currently have the best RTP rates for Canadian online casino players. Which slots have the biggest payouts? You need to play the progressive slots if you want to have a chance of the biggest payouts when playing online slots. Progressive slots, sometimes called jackpot slots, can pay out astronomical sums of money if the jackpot is triggered, with some of the biggest progressive slots awarding millions of dollars. Progressive slots are offered by some online casinos and they all share the same jackpot. A small amount of each wager is taken by the online casino and added to the jackpot that progressively (hence the name) increases and continues to grow until one lucky punter literally hits the jackpot. Perhaps the most famous online progressive slot is the Microgaming-powered Mega Moolah, which has a progressive jackpot that starts at a cool $1 million but almost always pays out far more than this. At time of writing, the Mega Moolah progressive online slot has had its Mega Moolah Mega jackpot hit 53 times with an average win of $5,847,429! The smallest win recorded was $1,013,791 and the largest a staggering €18,910,668. It was a lucky Canadian who claimed the Mega Moolah jackpot in March 2019 and walked away with $3,308,063. Some of the other major progressive slots include Going Nuts, Snow Business, Loot Enkhamun, Space Venture, Road Hogs and melon Madness Deluxe. What is RTP and why is it important? RTP, or Return To Player to give it its full title, is the term casinos use to show the percentage of money wagered that is paid back to players over time. While anything can happen in the short term, the RTP gives a good indication of how likely you are to win by playing an particular slots machine. If a slots machine is showing it has an RTP of 90% and you make 100 bets of $1 each, you should expect to receive back $90 in winnings. Of course, sometimes you will lose more than this $10, sometimes you will far more than is expected, which is the joy of slots and why playing at a casino is called gambling. Please be aware that casinos’ RTPs are only true over the long run over periods of week, months and sometimes even years. Some online casinos show their RTP for the entire suite of products rather than an individual slot or table game. A casino with a higher RPT is better than one with a lower RTP as you will, theoretically at least, receive more of your wagers back as winnings. As RTP is displayed and reported as a percentage, the maximum RTP you can have is 100%. Having a 100% RTP would mean the casino would essentially break even over time, while anything over 100% would see the casino lose money. The closer to 100% a casino’s RTP is, the better it is for you and your bankroll. How do you find a casino’s RTP rate? Casinos differ how they display their RTP rate. Some will proudly display it on the home page of their website, usually if their RTP is high because they want to use it as a marketing tool, others may hide theirs away in the FAQ or help section of the website. Those casinos who do not display the overall RTP will often give this information for individual table games and slots. A casino’s support team should also be able to supply you with any RTP-related information that you require and should be happy to do so. You can also find the best Canadian online casino payouts via our extensive, impartial reviews here on Maple Casino. What banking methods can you use at an online casino? Canadian casino players have a wealth of banking options available to them when it comes to funding their account or making a withdrawal after a winning session. Bitcoin is fast becoming one of the most popular banking methods for online casinos and it also happens to be one of the fastest too. Bitcoin is a cryptocurrency, a form of electronic cash, that can be sent from user to user on the peer-to-peer Bitcoin network without the need to involve banks or other payment processors. You must create a Bitcoin wallet on your computer or mobile phone before you can use this currency as doing so generates your Bitcoin address, a unique string of digits that allows you to send and receive Bitcoin. All transactions are broadcast to the Bitcoin network and are usually confirmed within 10-20 minutes for both deposits and withdrawals. The value of Bitcoin fluctuates greatly compared to a traditional, physical currency. Back on December 15, 2017, one Bitcoin was worth CAD$25,271.48, it’s highest-ever value. More recently, a single Bitcoin’s value hovers between CAD$5,000 and CAD$5,500. Online casino players in Canada tend to use credit cards to fund and withdraw from their accounts. The majority of the major online casinos accept credit cards displaying the Visa and MasterCard symbols. Credit cards are a quick and convenient banking method used around the world and, like Bitcoin, are up there with the quickest methods. The main drawback to using a credit card for your online casino playing is some casinos set a minimum deposit and withdrawal amount, with many also charging a processing fee for using Visa or MasterCard. E-wallets are another popular banking method available to Canadians; the biggest e-wallet available today is Skrill. E-wallets are like a middle man when it comes to banking. You can load up your e-wallet directly from your bank account, by using a credit card, or by receiving funds from a friend or family member. You can then use the funds in your e-wallet to make a deposit at an online casino, and also use the e-wallet to receive a casino withdrawal to. You may also want to look into bank transfers for paying into and getting your hands on your winnings. Bank transfer come directly from and to your bank account and almost always have larger minimum deposit and withdrawal amounts; bank transfers also tend to be slower than other banking methods, sometimes taking up to a week to complete. What banking methods have the fastest payout times? Bitcoin is one of the fastest, if not the fastest banking methods for Canadian online casino players. Deposits are generally completed within 10-20 minutes, often faster, while payouts can be almost instant. It is easy to see why Bitcoin is fast becoming the banking method of choice for Canadians. The next fastest payout method is likely to be e-wallets. These tend to be processed in a matter of hours, depending on the online casino and the withdrawal amount. Credit cards tend to take longer to receive funds to because the casino has to process your payment and then the credit card company has to do the same. Also, not all credit cards can receive withdrawals to them so bear this in mind. Typically, you should receive a payment to your credit card within 72-hours, although it can take longer. The worst offenders for payments times are bank transfers and checks. It is not uncommon to have to wait several business days to receive a payment directly to your bank account, while checks can take anywhere between two weeks and 30-days. What are the most common payout restrictions for Canadian online casino players? It is worth noting that although online casinos readily accept Visa and MasterCard credit cards, they do not always accept them all. Some credit card issuers restrict the cards use for online gambling, blocking them and making it impossible to deposit with or withdraw to. Another common restriction is limiting the number or amount of deposits and withdrawals. For example, you may only be able to deposit or withdraw a certain amount per week or month, or make so many transactions within a specific timescale. This is usually due to the large costs incurred by online casinos when they process payments. What are the fees associated with payouts? Moving money to and from online casinos often incurs a fee, which differs depending on the banking method used. Bitcoin transactions, both deposits and withdrawals, tend to be completely free of charge, but this is not the case for other methods. While each casino has its own rules and charges, you should typically expect to pay a processing fee for each withdrawal you make. These fees tend to be a percentage of your withdrawal amount, while charges for bank transfer and checks tend to be a set fee regardless of the sums involved. You should always check with the online casino’s customer support team and familiarize yourself with the banking policies of each casino. You may find that you receive faster and discounted withdrawals if you reach a certain VIP level as online casinos like to reward their loyal customers. 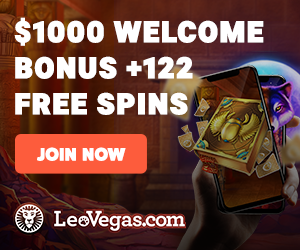 Copyright © 2019 Best Online Casinos Canada – FREE $1600 | Online Casino Games.